There appears to be a barrier or wall, with entrances, attached to the Circus but extending into the street. 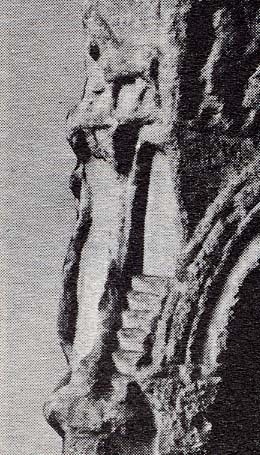 The two incisions facing the rear of the Arch appear to be substantial and may not represent steps as has been surmised in the past. It is generally assumed that steps from the front and back create an ascent to the Arch. 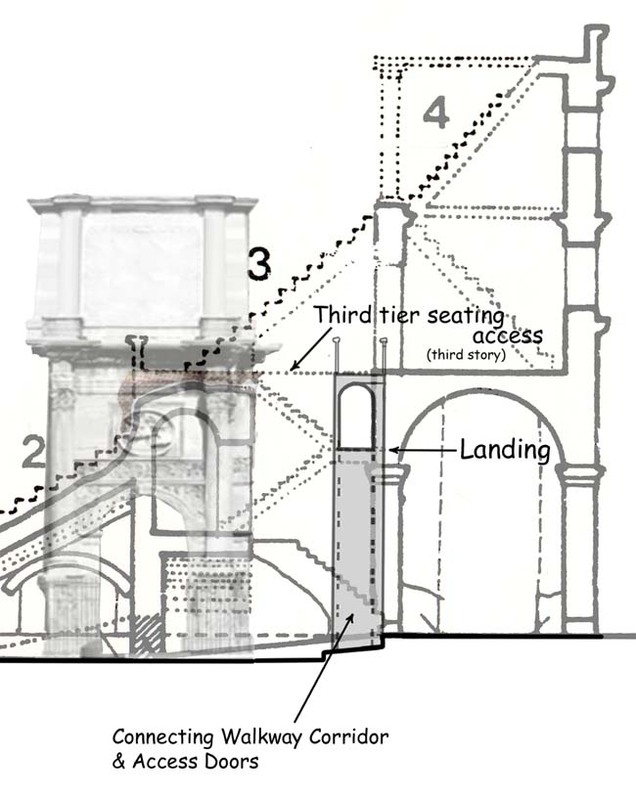 If, however, there were five steps ascending from the track, as shown on the marble plan, the base of the Arch would have been below the level of the street. See cut-away below. Are the two deep incisions, walls? - Are they steps down? They may very well be both. 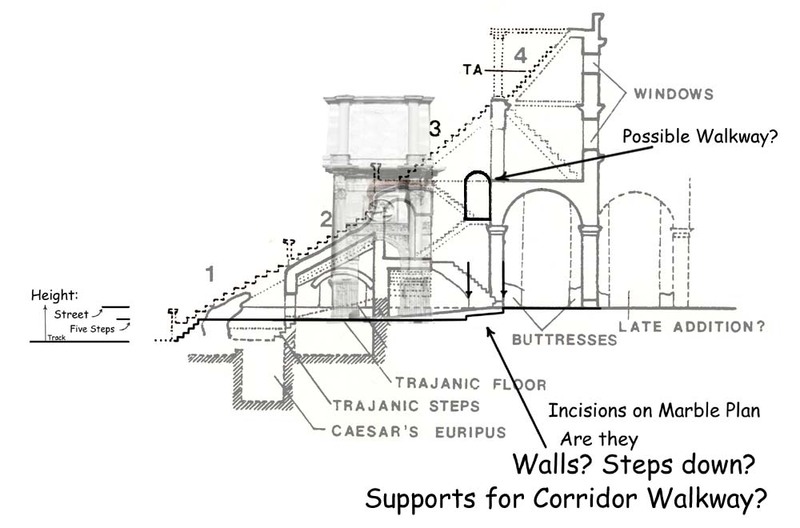 There is a stark difference between the incisions marking the five steps from the track and the two incisions behind the Arch of Titus. I feel there must be reason. As the twin incisions are very much like those of the vaulted corridor or of the Praecinctiones, I wondered whether these twin incisions might show a corridor or the walling supports for a corridor connecting the two halves of the circus structure. Why do the twin incisions specify a walkway? 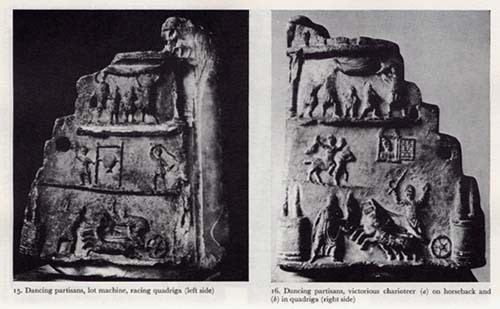 For the same reason the praecinctiones are specified - all ancient observers of the Marble Plan would recognize it. Certainly, the third tier wall, its support-wall or hand-railing are as great a demarcation for outlining the floor plan of the Circus. The vaulted corridor and the praecinctiones, however would be understood as normal experience in the coming and going. 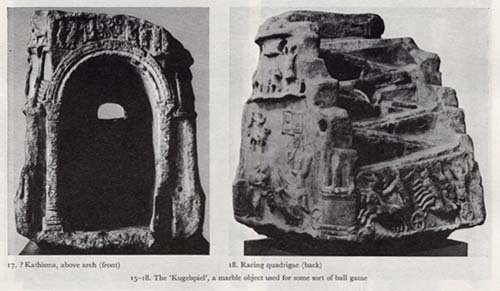 Being a matter of common understanding, it would seem wholly natural to include the Vaulted Corridor or the praecinctiones as an incised element; as they did. 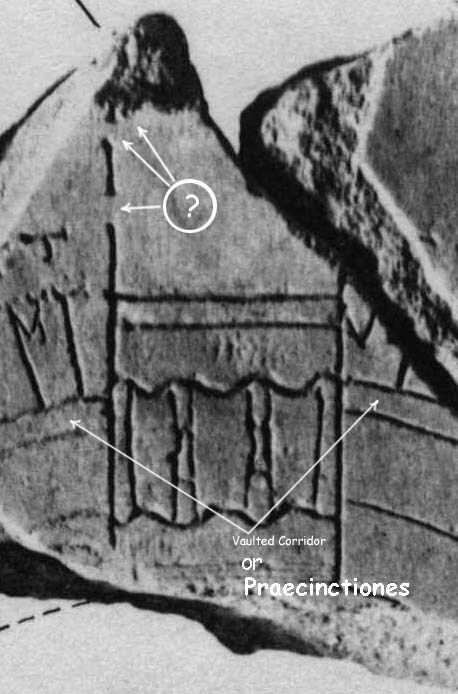 As the incisions marking the vaulted corridor or the praecinctiones directly above are recognizable, the twin incisions behind the Arch of Titus are likewise so. 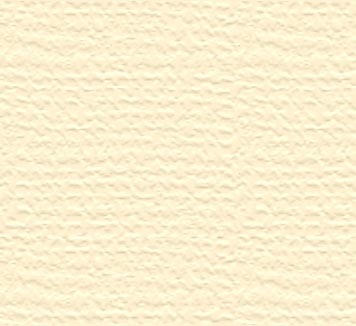 They are rendered in essentially the same distinction. A connecting corridor and wall structure would be a common and practical feature of the Circus Maximus. Incisions of it would demarcate and suffice for the viewer, exactly as the incisions of the Vaulted Corridor or praecinctiones. There would be no reason to define further or ancillary substructures. A corridor and walling that is common knowledge. There very well could have been two connecting corridors, one connecting the first story and a second connecting the third with yet a walk-over atop the same structure connecting the the bleachers. 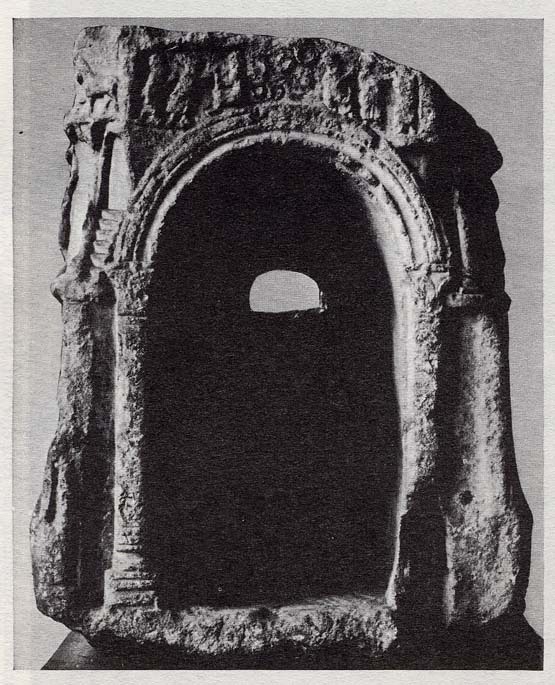 The Arch is a symbol of triumph and the area was likely occasioned as a triumphal entrance by the Emperor. Having Imperial association then might tend to imbue the Arch in the Circus as somewhat sacrosanct, "the Purple Way", and its use may have been reserved, generally speaking, for special occasions and special personages. It is understood that the Arch in a Roman Circus was fenced or roped off. The stairs from the arena to the Arch would also not lend an easy approach for wheeled vehicles nor animals and shows that the Arch was probably not a normal place of processional entrance into the Circus. Another argument for fencing off the bays of the Arch of the Circus Maximus is the practical matter of containment. Vast numbers of wild beasts and entertainments in the many widely varying extravaganza would present the need for permanence in building design for control during festivities. 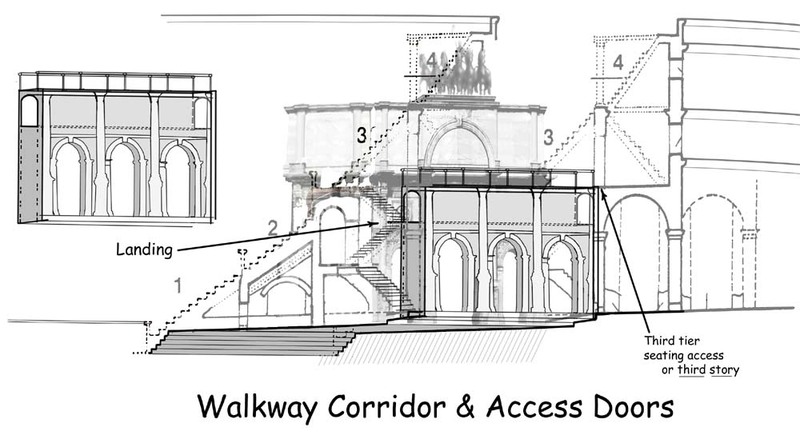 Therefore, I am inclined to accept the notion that the twin lines of the Marble Plan denote a Connecting Walkway Corridor and support walling with access doors to the Arch rather than the steps of previous belief. As mentioned above, if the four bases of the Arch rested on an elevation some five steps above the track, the Arch would still be below street level. 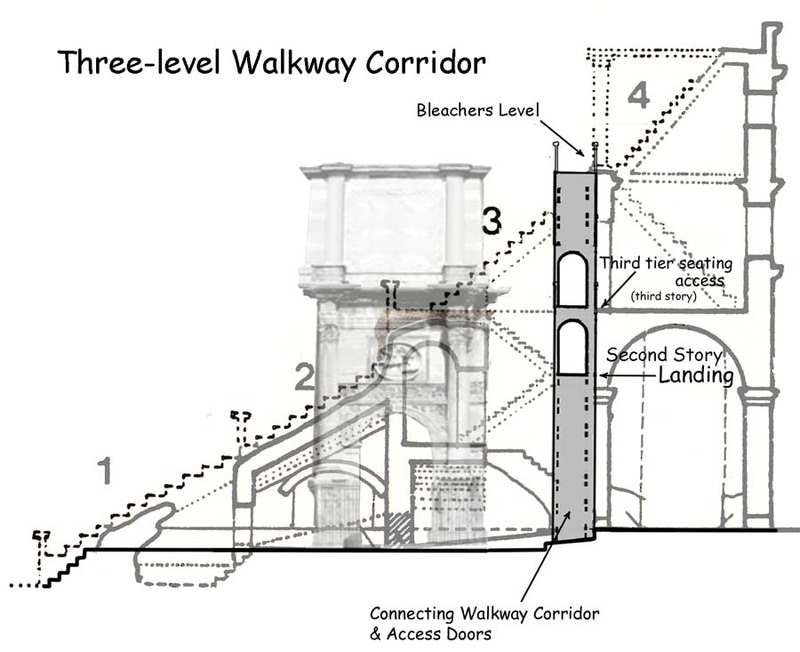 This elevation difference could be made up by two steps down, possibly located within the access doorways of the Connecting Corridor or a simple slope from the street. I find it likely that such walling would have three main doors in line with the three bays of the Arch. A connecting corridor fits nicely to the estimated tier seating plan of the Circus as it precisely aligns with the landings between the circumferential Vaulted Corridor and the third story seating access. If there were doors and a connecting corridor between landings, then also, perhaps an open walkover on top of the Corridor connecting the third stories. Walkway Corridor connects landings, walk-over connects third story. Access Doors open to Arch bays and allow security.